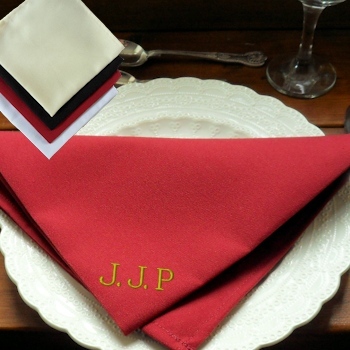 Cloth table napkin in rich burgundy red wine colour that can be personalised with embroidered names, initials, house name or little message of your choice. Quality easycare polycotton table napkin approximately 47cm square. Running stitch hem and quality fabric.